The following will be of interest to both authors and readers, though the issue will be of primary concern to authors. The issue under discussion relates to which editions of a book are listed in the Goodreads site. Logically, an author would anticipate, and appreciate, all available editions of their books to be shown. However, though, on the whole, this does occur there are some drawbacks: principally related to incorrect/erroneous editions. These are editions where there has been some sort of error and which have been withdrawn. Many will probably already be aware of the following (Goodreads Policy) however, it is considered worthwhile highlighting the issue for those who are new to book publishing and to Goodreads. Goodreads insists upon listing all editions of a book ever published even if they have been withdrawn/unpublished. 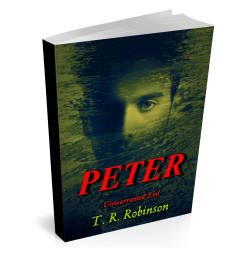 For example: The initial cover to one of T. R. Robinson’s recent books contained a minor, one letter, mistake (a typo) that was not spotted until after it had been submitted for publication. A revised cover was quickly submitted, effectively withdrawing the book from retail sites while it was being replaced. No copies of the book where ever purchased. Nevertheless, the editions with the erroneous covers are listed along with the corrected editions. Despite the fact that none had ever been sold and all the retail sites only have the corrected editions available, Goodreads would not withdraw the previous editions from their listing. This does appear incongruous but there are valid, if annoying, especially for authors, reasons for this policy, as outlined below. More information and guidance may be found in the Goodreads Help section. Of course, it makes perfect sense, when a book’s cover has, for aesthetic purposes, been changed, for both to be shown. As stated, readers may have read, reviewed and added to their book shelves, an earlier edition and will therefore wish to retain that identity. It is however, frustrating for authors to have incorrect editions shown but most will understand, and, reluctantly perhaps, accept Goodreads policy. In truth they have little choice. Goodreads authors (have to be registered as an author in the Goodreads system to be recognised as such) do have the option of setting a ‘default edition’ of a book. This enables them to select which edition will be predominantly displayed when users search for the title. They should however, note if the user selects the ‘All Editions’ option, all will be displayed including the erroneous/incorrect ones. This is the best option available to authors and, in this scenario, having the other editions listed within the system should not become a major issue. If it does, authors may always actively inform their readers, fans and followers of the situation. ‘1) Navigate to the book’s page. Be sure you have selected the edition you wish to become the default (primary) edition. 2) Click “edit details” below the book’s description. 3) On the right side of the page, click “Set this book as the primary edition for this work”. It’s about midway down the page. There is no argument, for authors, the listing of previous, incorrect, editions of a book is frustrating. This is particularly so when no copies have been purchased or given to readers. No one likes to have erroneous copies of their work displayed for all to see. Goodreads policy, especially regarding where a book cover has been changed for aesthetic reasons, is understandable. It can cause confusion for readers accustomed to a particular cover when a different (often radically different) one is displayed. The partial workaround of selecting a default edition is an asset that authors in this situation should avail themselves of. Most users of the site are unlikely to actively search for alternative editions. The matter simply highlights the need for authors to, as thoroughly as possible, edit their work. Not just the manuscript but also the cover and book metadata. Authors and readers have no option but to live with the situation. Nevertheless, the policy has been in place for a long time and, as far as the writer is aware, has not resulted in any major issues or difficulties for authors. Note: All quotes have been copied from Goodreads help. Thank you Tanya, that answered a lot of questions – I still cringe to see the original cover for Walking over Eggshells up there. Ah! But it is good book and many previous readers will know it by that cover. At least it has no errors. Well done! I know how difficult they can be to get. Hope it results in many sales and appreciations.